Stop! Before you launch your email newsletter, you need to know the basics. 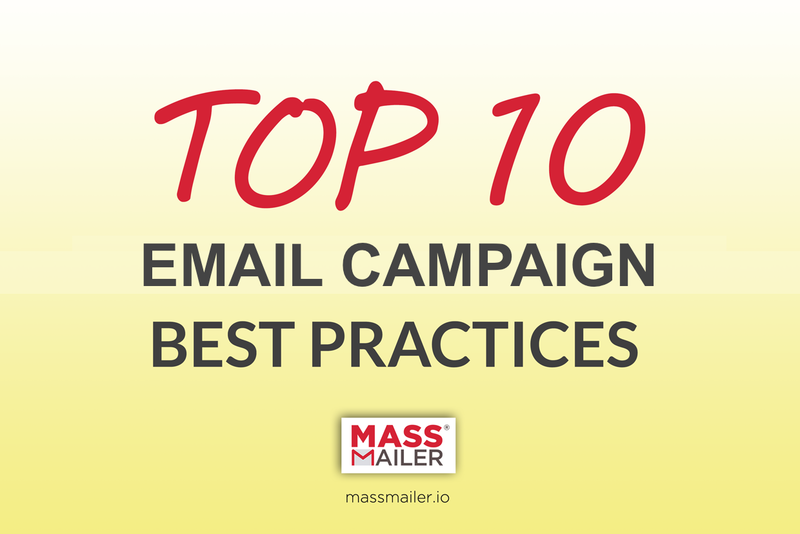 There are certain email campaign best practices that are tried-and-true, making it easier for email marketers to connect with their audience and retain them. Here are a few “must do” items that you should incorporate in your next campaign. No one wants to read a long email. Emails that have the best response rates tend to fall between just 50 and 125 words. Even a newsletter should usually be kept short and to the point. If there’s longer content, link out to a landing page. As they always say, a picture is worth a thousand words. Including photos and illustrations in a newsletter is an excellent way to engage your audience. Just make sure any media is well-optimized, so it will download quickly. A responsive email newsletter design is more easily viewed on mobile devices like smartphones and tablets. Without a responsive design, you’ll be limiting yourself to customers on desktops. If you want the largest possible number of customers, you need to reach the most platforms. Many newsletters are sent from a “no reply” email address, but though this cuts down on administrative time, it also cuts down on engagement. Make sure emails have a valid reply address, so you can answer any questions that do arise. What is your reader supposed to do after they’ve finished reading your email? If they don’t know, then they aren’t going to continue interacting with your business. A clear call to action gives customers the next step they need to continue their journey. Before you begin crafting your email newsletter, you should have a solid idea of your buyer personas. Writing to a specific demographic is always ideal; by doing this, you develop personalized content and create a relationship with your reader. Though it may seem counterintuitive, making it easier to unsubscribe is actually a good thing. This increases the value of your email list, as it removes anyone who is uninterested in your newsletter. Consistency is often the most important key when creating a popular newsletter. Whether you want to send a newsletter monthly, weekly, or even daily, it’s most important to choose a schedule and stick to it. Focus on your subject line. Creating a compelling subject line is what leads to many email opens and opening the email is most of the battle. Try to develop subject lines that are intriguing but not overly promotional, and that deliver on the content that is in your newsletter. Try to add some value. Every newsletter should have a value proposition, whether it’s a small discount for products and services or a free, downloadable file. By providing value in every newsletter, you encourage your audience to continue opening and reading them even if they aren’t ready to commit. If you want to connect with your audience, email gives you direct access. But you still need an email tool. MassMailer makes it easy to create, manage, and schedule your next newsletter campaign. Try the MassMailer trial to find out more.